Apple2, Macrosoft, Programming, by Michael. The book comes with listings as well as guidelines on coding practices. The code is quite simple, so as to allow its translation between versions of Basic, and so will lend itself to being (hopefully) a good first project to get familiar with the Macrosoft IDE, and the language. Tim has written the core elements of the program in a modular fashion, so it is my intention to progressively replace the simplistic text adventure oriented code with modules designed to support a combination text and graphics, party based RPG adventure. Yes, I know there have been many party adventure programs written for the Apple2 platform, and other 8/16 bit systems, but I found them all to be lacking in something. I feel that even my favourite “Wizardry: Proving Grounds of the Mad Overlord“ was losing its way with Wizardry II onwards. I will post each of the CAGOYC programs I complete, along with the Macrosoft source, and binaries to run. 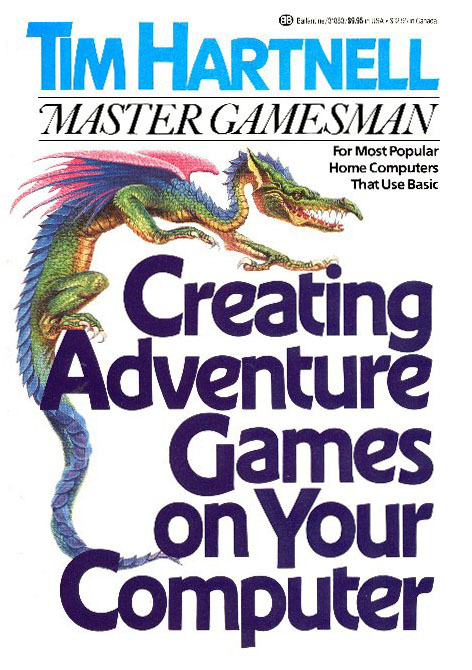 If you want to look at the book itself, pop on over to http://www.atariarchives.org/adventure/ where the complete text, including Basic program source is available to read. Classic Arcade Machines What Do You Do On New Years Day?